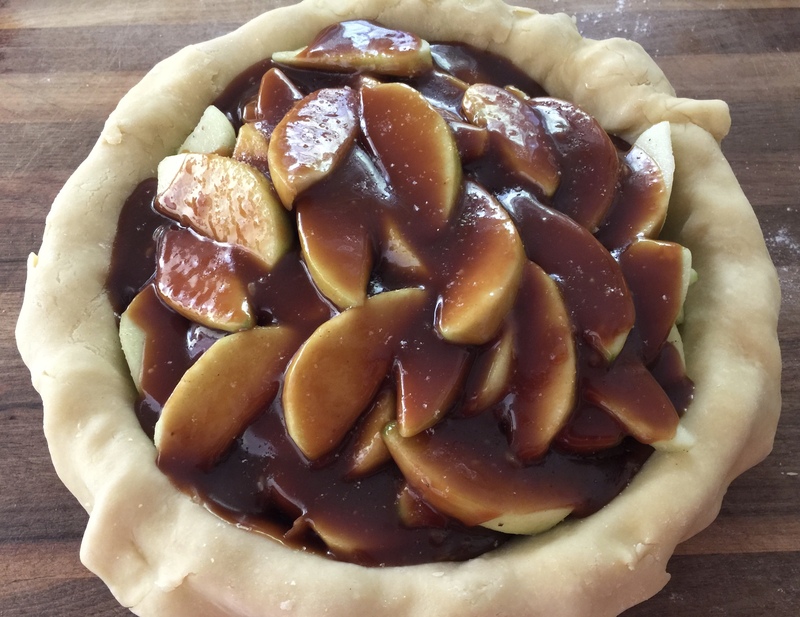 Salted caramel sauce is poured over calvados soaked apples in an all butter pâte brisée pie crust. 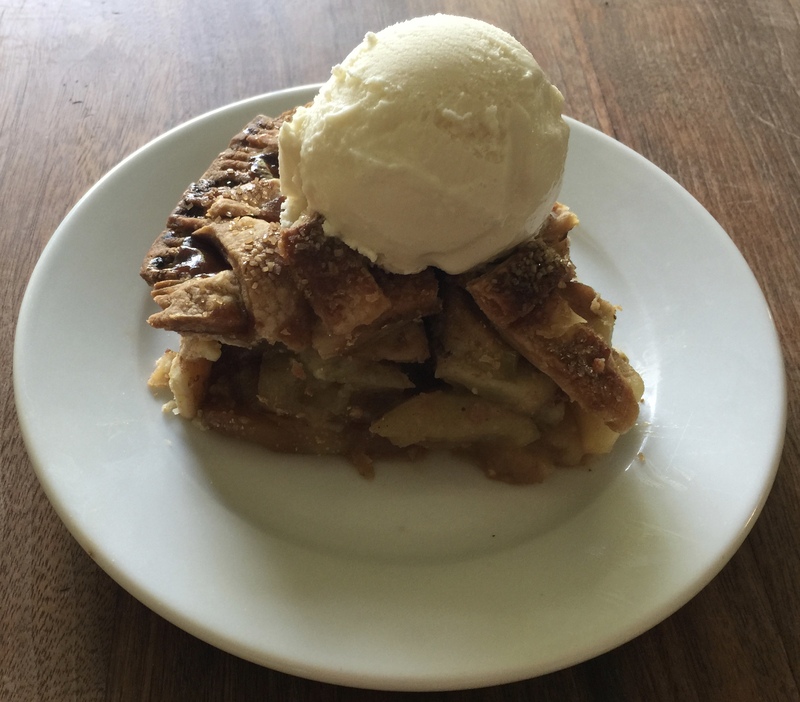 This recipe has three parts if you include the pie crust. If you want to cut down on the time you could buy pie dough or the caramel sauce, but if you have the time they’re pretty easy to make. Also the pie dough and caramel sauce can be made ahead of time. 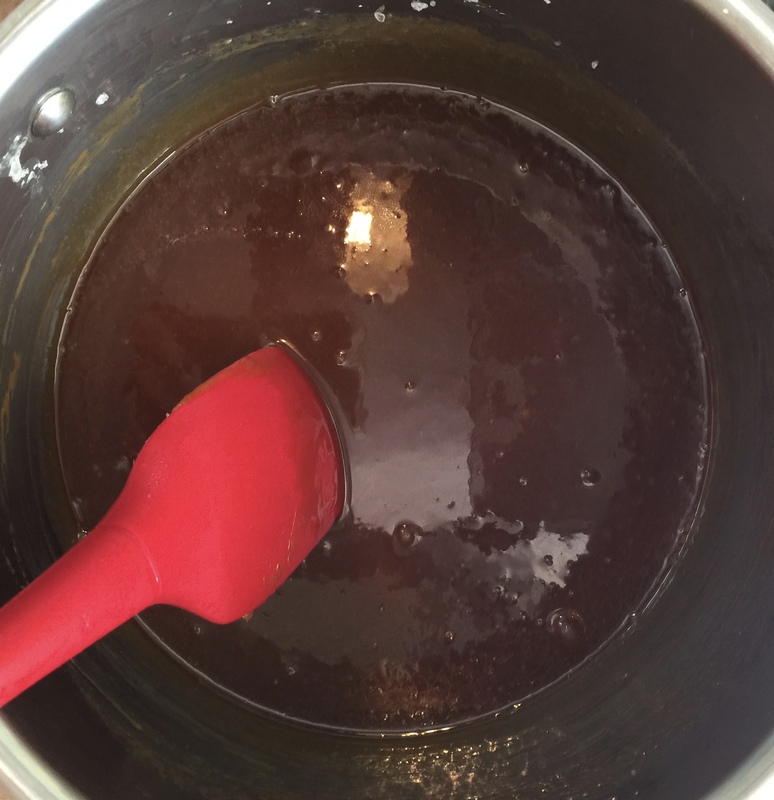 Just warm up the caramel sauce until it is pourable before using. 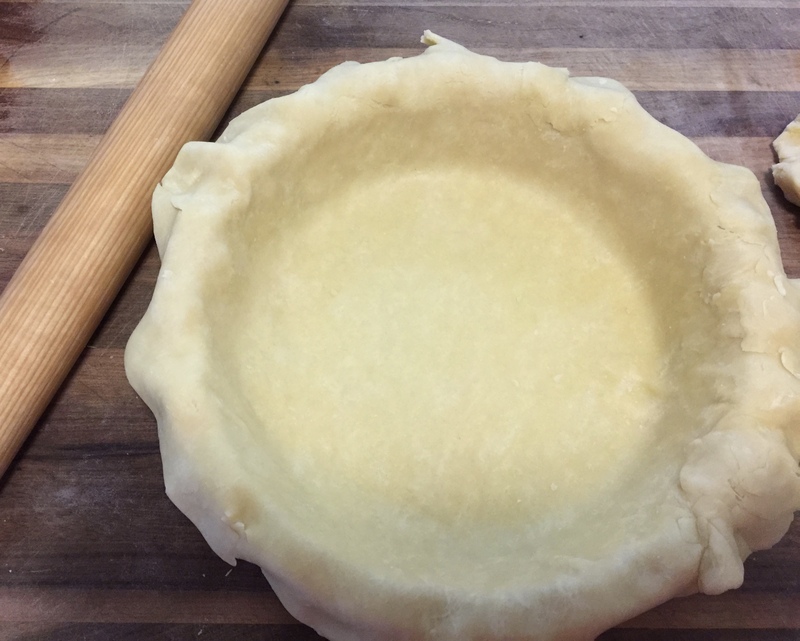 Use chilled premade dough for bottom of 9 inch pie pan to roll out bottom crust for pie shell. Allow to rest in refrigerator at least 30 minutes. 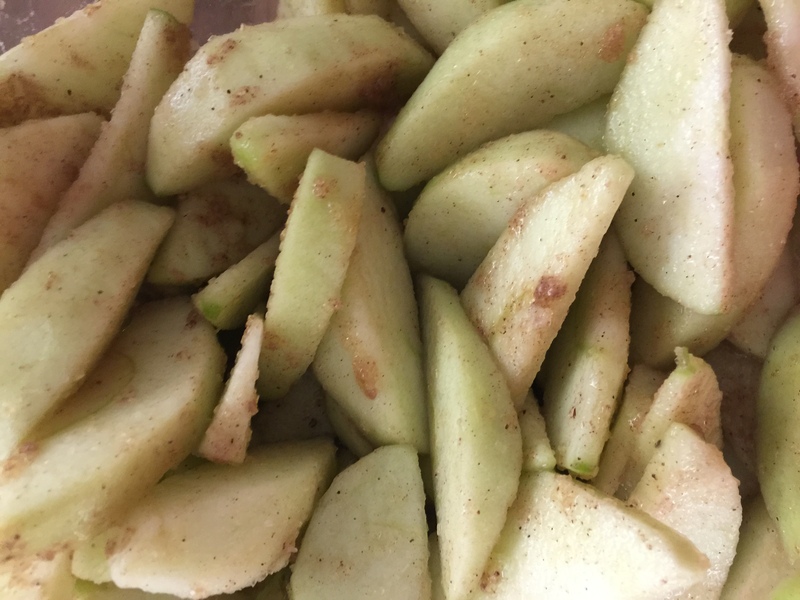 Combine apples, lemon juice, sugars, cinnamon, salt, and Calvados. Toss and allow to sit at room temperature 2-3 hours. Put the apples in a colander over a bowl and allow juices to drain for at least 30 minutes. Transfer juices to small saucepan set over low heat. Gently reduce until it is thick and syrupy, paying careful attention so it does not burn. Thoroughly Toss apples with cornstarch. Pour syrup over apples and toss. Whisk 1 cup sugar, ½ teaspoon salt and ¼ cup water in a 2-qt. 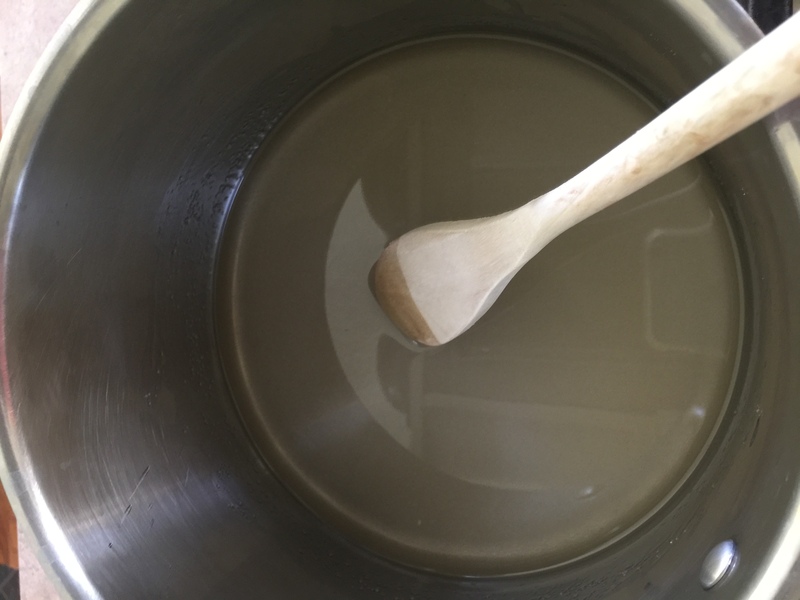 saucepan over medium heat; cook, without stirring, until the sugar dissolves, 2–3 minutes. Add butter; bring to a boil. Continue cooking until the mixture turns a deep red-brown, about 25 minutes or until a candy thermometer inserted in sauce reads 325°. Remove from heat. Carefully add cream, stirring until sauce is smooth. Transfer apple mixture to pie shell. Pour over caramel sauce. Add top crust. 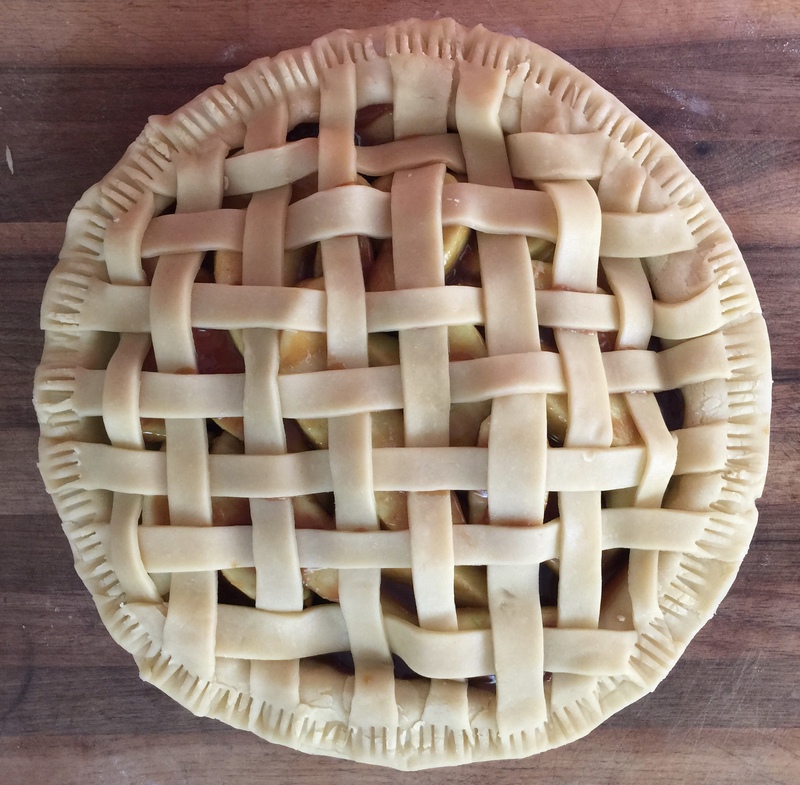 Food 52 has a great tutorial on decorative pie crusts here. Sprinkle crust with demerara sugar. Allow to rest in fridge for at least 1 hour to prevent shrinkage (or freeze for later). Preheat oven at least 30 minutes before baking. Bake on lowest level for 45 to 55 minutes until juices are bubbling. Cool at least 6 hours before serving. The longer it sits the better it will slice.